Are you eagerly waiting to get rid of your woolens and slip into your swimsuit? Summer gives you many opportunities to go out, so no wonder it becomes difficult to escape the harsh rays of the sun. For this reason, skin care in summer is not something to be taken lightly. As the long winter months come to an end, summer comes along with a burst of sunshine! This is the season where people bare their skin the most and yet they forget to take care of it. Sun rays can cause blemishes, acne, rashes, and even skin cancer. Skin care in summer is important to keep it fresh and dewy. 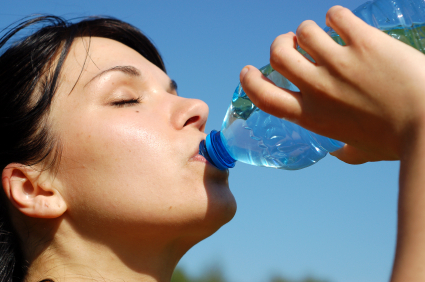 Staying hydrated is one of the best things you can do for skin care in summer. Here’s a look at a few things you can do to take care of your skin. As you sweat in the heat, your body loses a lot of moisture. It is important to replenish its water content by drinking water, fruit juices, lemonade, and coconut water. At the same time, splash some rose water on your face to keep it hydrated from the outside! Protecting your skin from exposure to the sun is extremely important. Cover yourself up when you step out and don’t forget to slather on the sunscreen! A study conducted at UCLA showed that 78% of all sun damage to the skin occurs due to incidental exposure, for example while you’re walking to your car. A combination of sweat, sunscreen, and dust can lead to a lot of dead skin cell buildup on your body. A simple homemade scrub and a loofah can go a long way in exfoliating your skin and making it look fresh! Yes, you love your short dresses and skirts, which means that you need to shave your legs often. This can make your skin very dry, so make sure you use a good quality razor and replace it regularly. Shave after you have taken a bath and then apply a moisturizing lotion before you put on your favorite sundress. It is a good idea to go light on the makeup during summer, to avoid turning your skin greasy and itchy. Try the natural look and see how it benefits your skin in more ways than one. In case you insist on using light makeup, do ensure that you keep your makeup brushes clean so that they do not carry any bacteria. Cut down on alcohol, caffeine, and spicy food during the summer months. Instead, eat vegetables and fruits like spinach, carrots, tomatoes, sweet potatoes, and berries. These foods are high in antioxidants and research shows that they fight against free radicals that cause skin damage. In addition to this, they also slow down the production of oil in the body. Turmeric and green tea have skin cancer fighting properties. Physician David Rakel of the University of Wisconsin’s School of Medicine and Public Health says that regularly consuming these two products can cut down on the risk of cancer. Don’t forget to apply sunscreen to your hands and feet. Also, do get yourself a pedicure regularly. Wear sandals so that there is plenty of room for air circulation. Summer skin care is also about looking after your hands and feet. Skin care in summer is actually pretty easy. Taking a few simple measures every day can lead to soft and glowing skin, and protect you from cancer. Wear a huge floppy hat, apply plenty of sunscreen, and sit on the beach sipping a tall glass of something cool! This entry was posted in Wellness and tagged how to take care of skin in summer, summer skin care by Zipheal Editorial Staff. Bookmark the permalink.